IT Europa is to stage its ninth annual European Software & Solutions Summit on 14th April 2016 in London. Increasing demand for the provision of IT and telecoms as a managed service is revolutionising the IT industry and creating new opportunities for both vendors and resellers, according to IT Europa. A new report, European Cloud & Hosting Providers, the Top 250 2015, produced by IT Europa shows a steadily growing business, with much of the growth coming through the independent companies rather than larger publicly-listed firms. The total revenues for companies in the report rose by just 1.5% in 2014 over the previous year, but reached €92bn in Europe. Research from Gartner, Saugatuck and IT Europa has highlighted some fundamental shifts in the way information technology is being bought and consumed that has significant implications on the role of channels in providing products and services over the coming years. The industry's most prestigious sales awards event staged at the Cafe de Paris (London on May 7th) has recognised and rewarded the best sales and marketing teams in the comms channel. 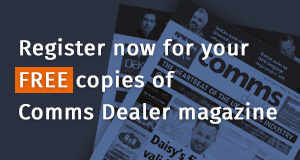 The line-up of finalists for this year's Comms Dealer Sales Awards (Café De Paris, London, May 7th) has been announced following a rigorous judging process. Customers are driving the pace of change in European software development, attendees at the European Software and Solutions Summit were told last week. Consumers and users are pushing for more and better systems. "Patience with technology is plummeting," said John Madelin, Verizon EMEA marketing VP told the 150-plus in the audience drawn from ISVs and channels across Europe. IT Europa has announced the winners of the European IT & Software Excellence Awards 2015 - the pan-European awards event for ISVs, Solution Providers and Systems Integrators and their vendor and distributor partners. The finalists were honoured last night at a celebration dinner at the London Lancaster Hotel.